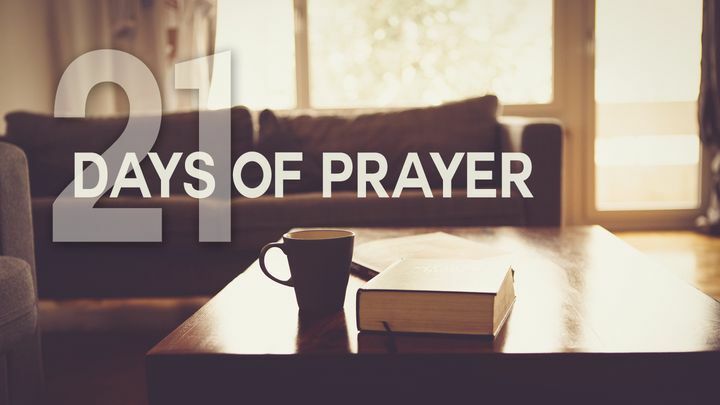 21 Days Of Prayer - Join us over the next 21 days as we earnestly pray with thanksgiving and experience God in a new, personal, and powerful way! Philippians 4:6 says, "Do not be anxious about anything, but in every situation by prayer and petition with thanksgiving present your request to God." Join us over the next 21 days as we earnestly pray with thanksgiving and experience God in a new, personal, and powerful way! Philippians 4:6 says, "Do not be anxious about anything, but in every situation by prayer and petition with thanksgiving present your request to God."